Enjoy this ultimate indoor and outdoor playground, with sporting choices for all seasons and nonstop entertainment and casion action. Skiing, hiking, boating, swimming, and the 72-mile "most beautiful drive in America" are just a few highlights in the picturesque region of Reno and Lake Tahoe. 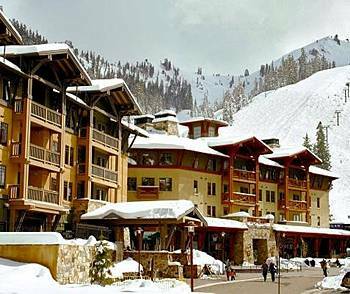 Village at Squaw Valley USA has a spa tub, a sauna, and a fitness facility. Business amenities include wireless Internet access and audio-visual equipment. Event facilities at this 3.5-star property consist of conference rooms and banquet facilities. Guest parking is complimentary. Additional amenities include laundry facilities, multilingual staff, and limo or town car service. Amenities featured in guestrooms include DVD players, coffee/tea makers, and CD players. Business-friendly amenities include multi-line phones and voice mail. Bathrooms feature hair dryers.